For a while now I've been seeing Chuck Taylor rip-offs. 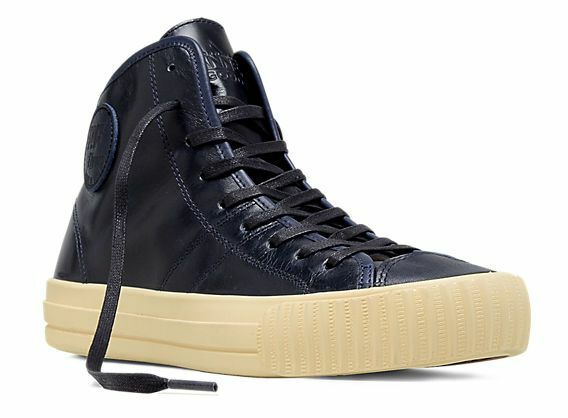 First of all, if you want a shoe that looks like a Chuck Taylor, damnit get a Chuck Taylor; don't be buying some designer's interpretation of a Chuck Taylor (unless its actually a Chuck Taylor or other Converse designed by John Varvatos, that's different). There is absolutely no reason to buy these things. Chuck Taylor's rock, and there are so many to choose from. I've been kicking this article around for months, trying to find just the right approach. I am resigned to the idea that there is really no way to do this gently and instill the proper emphasis. There is an etiquette of body scent. Its not really complicated. Here are a few simple rules to guide you. There are quite a few blogs and websites out there talking about men's style, etc. Most of them are trying to sell you something. They are supported by big ticket affiliate programs. This is not a bad thing, lets get that clear up front. I'll point you to them, I'll quote them when appropriate; I'll take suggestions from them. But, if you are like me, and can't really afford to spend a couple hundred dollars on socks (even if you would really like to), you have to find value and style where you can. Because lving within your means really ought to be men's style rule number one. In fact, why don't we make that our cardinal rule number one here at Derby Street: no matter what, live within your means.